If there was ever any doubt about the level and fame surrounding YouTube stars, here are two recent UK examples that are reminiscent of 1960s Beatlemania. Speaking at advertiser trade body ISBA's annual conference in London on Wednesday, Dominic Smales, the managing director of social media talent agency Gleam Futures, described the logistics that go into planning meet-and-greets between YouTube talent and their fans. He admitted that initially they were extremely underprepared. In 2013, Tanya Burr, a fashion and beauty blogger whose videos and tutorials back then attracted more than 2 million views this month, announced a "meet-up" with her fans in London's Covent Garden, thinking 50 to 100 people might turn up. But hundreds upon hundreds of fans showed to catch a glimpse of their hero. "They had to shut down the [nearby] Apple Store. Tanya had a panic attack. People got hurt. It was all a bit awkward," Smales told the conference. Here's some fan footage of the scenes. He said it marked a "key moment in YouTube culture and social talent culture" - that any subsequent events would require proper organization, barriers, police, security, and so on. But even with the most careful preparation, the scenes can still be chaotic. 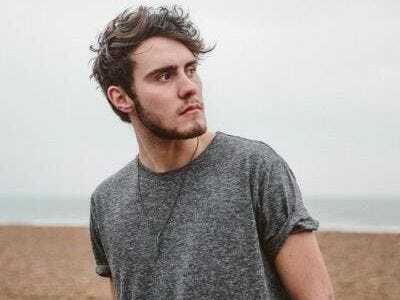 Alfie Deyes is another English vlogger and blogger, who runs the YouTube channels PointlessBlog, PointlessBlogTV, and AlfieGames. The main channel, PointlessBlog, currently has 3.8 million subscribers. Last year he arranged a signing for his debut book, "The Pointless Book" (which went straight to the top of the book charts), at the big Waterstones book store in Piccadilly. Smales described what happened: "There were 8,000 teenagers. Piccadilly shut down. Waterstones had to shut its flagship store, which you can imagine they weren't happy about. There were police helicopters flying above. Policemen on horses ushering teenage girls about." And, to put this all into shattering perspective, Smales delivered this killer line: "David Beckham had a signing at the same store the week previously and 670 people turned up." Earlier on at the conference, Google UK/Ireland managing director Eileen Naughton shared some stats on YouTube viewing in the region. In the UK alone, YouTube attracts 40 million viewers (around two-thirds of the entire population) each month, who watch an average of 191 million videos. The average viewing time per user has increased 50% year on year and is higher per capita than in the US, Naughton said.